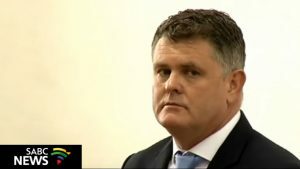 Former property mogul, Jason Rohde has been sentenced to 18 years in jail for the murder of his wife, Susan, in the High Court in Cape Town. Susan was murdered at the Spier Wine Estate near Stellenbosch in July 2016. Judge Gayaat Salie-Hlophe also sentenced Rohde to five years for obstructing the ends of justice. Rohde’s lawyers will appeal his conviction and sentence. The post Rohde sentenced to 18 years in jail appeared first on SABC News – Breaking news, special reports, world, business, sport coverage of all South African current events. Africa's news leader..